The last coastal sand mine in the United States, a facility on Monterey Bay that scientists say has caused significant erosion of beaches in the area, will close in three years under a settlement agreement announced Tuesday with California officials. A Maui County Council committee is considering ways to regulate sand extraction in the county in light of a recent Central Maui sand excavation and export case that came under fire from members of the community. As day of reckoning closes in on Cemex, the city of Marina prepares to attack. Comments Off on As day of reckoning closes in on Cemex, the city of Marina prepares to attack. The City of Marina commissioned this report to assist in its management and decision‐making for coastal property and resources within the City’s jurisdiction. This report provides a review and synthesis of available documentary information and scientific literature addressing the impact of current sand mining activities within southern Monterey Bay. Dubai is growing again, and again it’s building into the sea. Scientists and environmentalists are accusing Cemex, the world’s second largest building materials company, of doing serious harm to the Monterey Bay beach by removing massive amounts of sand. The company claims its sand mining business is legal, but the beach is shrinking, and the California Coastal Commission is threatening to shut down the operation. While sand mining is not illegal here, some community members are concerned about the resource being depleted and shipped off-island and archaeological damage. Mayor Alan Arakawa is among the concerned, saying the sand is needed for Maui projects and replenishing beaches. It may be plentiful, but so is the demand for it. The island off the southern tip of Malaysia reveals the future of building in an epoch of dwindling territory. Gambia’s tourism industry was bedeviled with a range of menaces including – indiscriminate dumping and littering of our beaches, as well as debasing of our beaches through sand mining and related environmental malpractices to other areas frequented by our coveted guests and tourists. The need to tackle the environmental and sanitary challenges of tourism, head on, therefore became imperative. 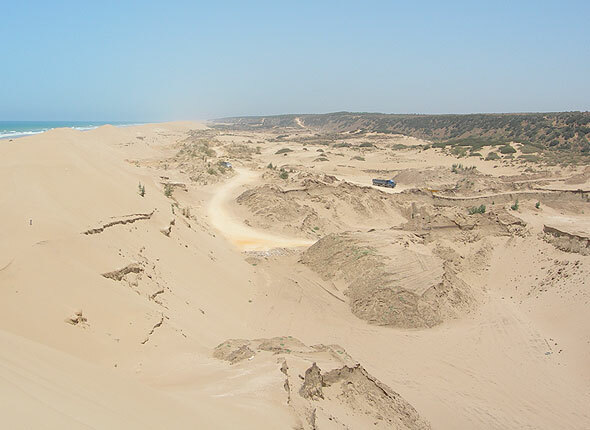 African countries are raising alarm because of their disappearing coastlines. 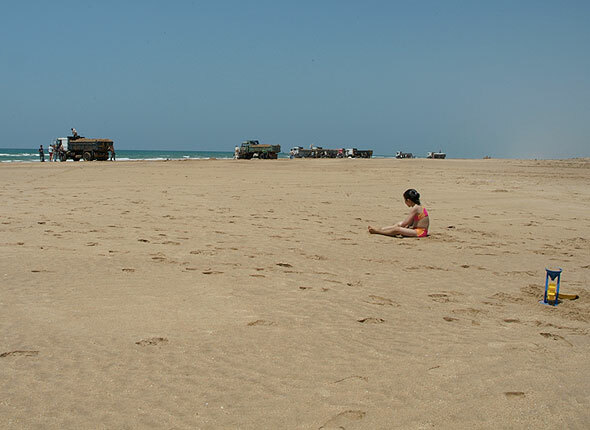 Beaches erode mainly because of illegal sand mining. A Swiss foundation wants to help Togo restore its coastline. As the saga of illegal beach sand mining drags on in the Madras high court, an interim order has finally called into question the role, or the lack thereof, played by the Centre over two decades in monitoring, curbing and enforcing laws preventing the illegal mining of beach sands from Tamil Nadu’s shores. 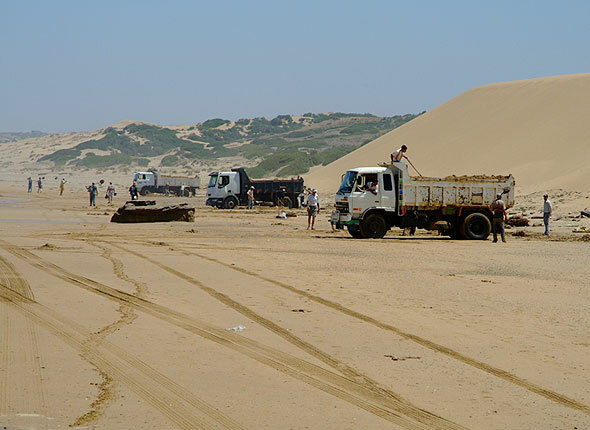 Despite a ban on mining of beach sand since 2013, illicit mining and transportation of beach sand continued on a massive scale. A court filing reports that in 2013, over 90 lakh tonnes (9 million metric tonnes) of beach sand had been mined from 2 districts located at the southernmost tip of peninsular India, in Tamil Nadu State. The world is running low on sand. It’s a basic ingredient in construction – think skyscrapers, shopping malls, roads and windows – and cities are growing faster and bigger than at any time in history. Legal supply can’t keep up. So now organised criminals are hitting pay dirt, pillaging millions of tonnes of sand from the India’s beaches, riverbeds and hillsides. China has been building manmade bases over some of the Spratly Islands in the South China Sea since 2014, specifically targeting shallower areas, sandbanks, and reefs—islands, the shallower the better; a place that won’t sink under a load of concrete. 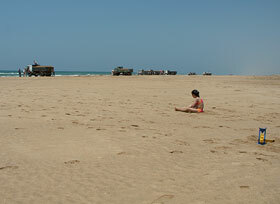 Of the Suriname coast, sand mining barges sighted at Braamspunt beach, came as a shock to the public and to local NGOs alike, as beach sand mining had been banned since December 2015.